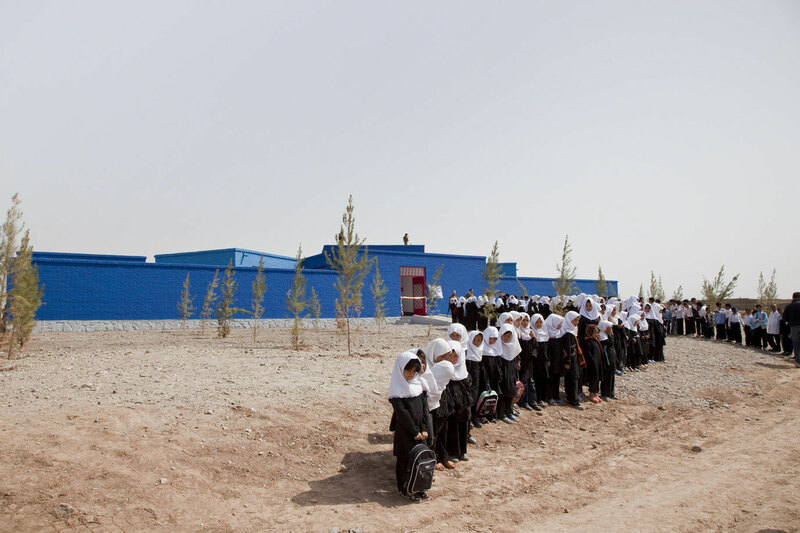 Today we travel to Afghanistan with a story that talks about death, architecture, education, war, peace, and a BLUE primary school in Afghanistan. In 2001 Maria Grazia Cutuli, a prominent Italian journalist, was murdered by a group of gunmen in Afghanistan. Ten years later, the Foundation named in her honour decided to build a “sign of peace”: a school that was an innovative educational space offering an alternative to the conventional models associated with post-war emergency reconstruction. The school was designed by IaN+, 2A+P/A and Architect Mario Cutuli. The first challenge for this design team was the researching of a layout capable of matching evocative spaces to existing functional needs. In fact, the building is comprised of a boundary line formed by a seemingly random arrangement of modules. This new primary school hosts eight classrooms, a double-height library, a secretarial office, staff rooms and a caretaker’s house. Both external and internal spaces contribute to the shaping of the educational environment, and it was nominated for the Aga Khan Architecture Award. 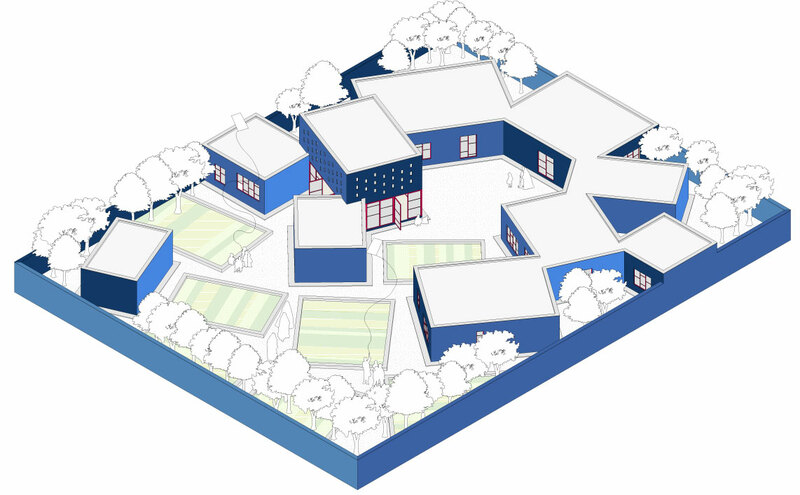 The following video explains the incredible story of this blue school, built by Mario Catuli, Maria Grazia’s brother who is an architect based in Rome. 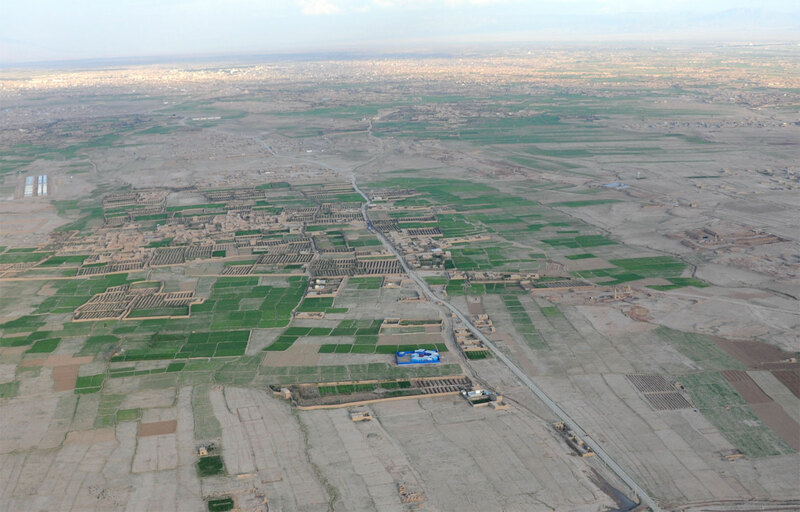 Afghanistan reminds me of the best-seller books by Khaled Hosseini. In his novels “The Kite Runner” or ” A Thousand Splendid Suns” he describes the terrible situation for women in his country and one can imagine the extraordinary impact of this blue school in such a brutal environment for women.